Developed overall look for the Mitchell and Acoustic Launch Pack series of packaging. 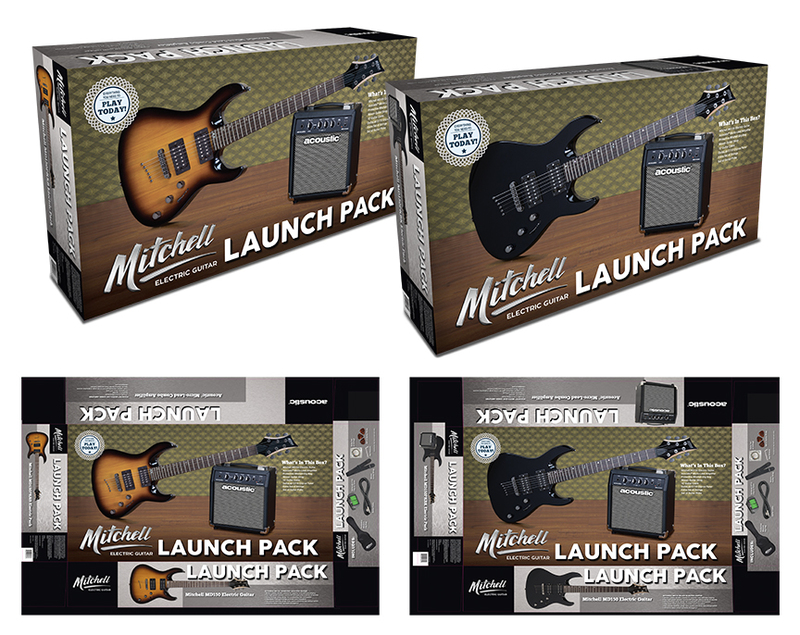 This particular Launch Pack was designed to feature a MItchell electric guitars (sunburst or black) combined with an Acoustic micro-lead amp. Responsibilities: Art directed photo shoot, did all of the retouching required for the series of boxes. Developed the style for the co-brand across all three boxes. Implemented the new look across all packaging pieces and prepped files for release to the printer.